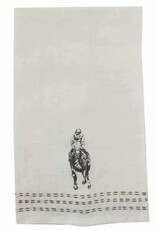 Inspired by Man O' War, an American Thoroughbred who won 20 out of 21 races and is considered one of the greatest racehorses of all time, these linen hand towels feature a printed horse racer and embroidered brown stripes. 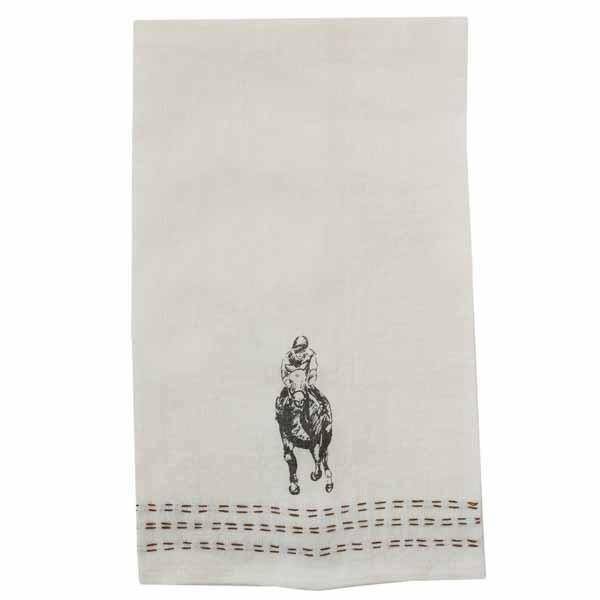 A classic and timeless edition to your equestrian linen collection. Raise a toast to one of the greatest American Thoroughbred horses of all time with our exclusive Man o' War Bourbon Glasses. 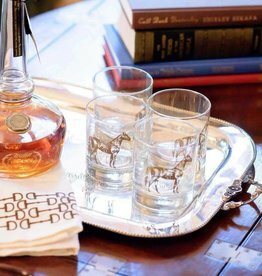 These limited-edition Old Fashioned Glasses pair perfectly with our Brown Snaffle Cocktail Napkins.